The Master of Business Administration Degree (MBA) is designed to introduce students to the various areas of business such as accounting, finance, marketing, human resources, and operations management. The degree is one of the most sought-after graduate qualifications by employers in the private and public sector alike, and graduates who possess an MBA gain a strong skill set that is transferable across industries and fields. The advantages of earning a Master of Business Administration (MBA) are numerous, and it is increasingly desirable to obtain this degree in order to professionally advance in many industries. Here are just a few of the benefits of earning an MBA degree. The knowledge and skills you gain from an MBA program provide you with expanded managerial skills that ultimately make your leadership techniques and your work itself more effective. 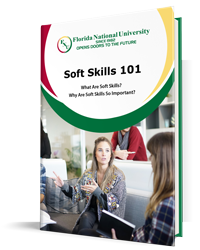 These skills provide the essentials for dealing with real-life situations pertaining to management issues, problem-solving, and conflict resolution. You gain not only the key skills necessary to fulfill a managerial role but also the ability to effectively carry out core duties of your job and the mission of your organization. In addition, whether you are a seasoned professional hailing from a non-business background or a young graduate with little or no work experience, having an MBA in your academic portfolio gives you an added advantage. What you learn in an MBA program elevates your business savvy. An MBA provides you with a specific and in-demand skill set which is essentially a practical and hands-on training for dealing with business problems in the real work world. If you choose, you can put these skills to use as an independent entrepreneur running your very own successful business. You’ve heard it before: it’s not just what you know, but who you know. Many of the people you meet in an MBA program can become valuable professional contacts down the line. Think of everyone you meet as a potential client or employer – establishing friendly and collegial relations during an academic program can mean having an established network of business contacts and referrals. In the long run, you can call on each other as you advance professionally to help you get where you want to go. An MBA degree can help you climb up the corporate ladder more quickly, often giving you expanded responsibilities and the better job titles and higher salaries that go along with them. MBA graduates with specialized skills or knowledge are often in a stronger position to lead start-up companies, find out about business opportunities ahead of the curve, or be promoted over workers who do not have an MBA. An MBA degree requires a combination of elective and specialized courses specifically designed to give students the ability to handle complex business situations. Having an MBA degree assures that you have transferable skills along with the capacity to handle complex situations that come up in tough economic times. This knowledge can markedly improve your value to the company and thereby help preserve your job in the organization. Bottom line: the demand for MBA graduates remains high even during recessions. An MBA can be a great move if you are considering switching career paths. Having the transferable skills that are acquired during an MBA program can be a big asset when switching your career or moving across industries – employers know they can rely on MBA graduates to have certain knowledge and skills regardless of what their specific job experience may be. A competent MBA program prepares graduates to serve as highly qualified leaders, whether you choose to pursue a career in the private or public sector. The specialized abilities and leadership qualities gained through the achievement of an MBA degree gives you a tangible competitive advantage over other candidates or colleagues. Given a choice of similar candidates without an MBA on their CVs, most leading business organizations prefer to hire candidates with MBAs for top management positions. Earning your MBA online can be a great option for busy professionals, parents, or anyone who just prefers the flexibility that online education provides. Whether you are employed, a non-traditional student, or a stay-at-home parent, or have other constraints that may prevent you from attending more traditional degree programs, an online education may be for you. If you are already employed, online classes allow you to earn a living while still taking steps toward career advancement. Another advantage of online education is the inherent flexibility they offer. As an online student, you can study whenever you have computer and internet access. The effort and commitment is yours – but with an online degree, you have the choice of when, how, and where you study. Perhaps you have family and personal responsibilities that come first. An online degree allows you to tailor your education to fit around your life priorities while still moving toward a brighter future. In addition, an online degree allows you a more student-centered teaching approach. Each individual has his or her way of learning and an online program can help you tailor the program to best suit your learning style. Florida National University (FNU) offers an online MBA program that is designed to provide students who have already earned a Bachelors degree with an opportunity to progress to the Masters level. The online MBA is also an ideal choice for students with work experience who wish to enhance their career prospects with higher-level education in Business Administration. The program allows students to focus on one of five concentrations: General Management, Finance, and Marketing. Each individual course also reinforces the student’s knowledge and skills in two areas important to employers: 1) Communications and 2) Problem Identification, Analysis, and Solving. For more information on how our online MBA program could be your ticket to vast career advancement options and higher salary prospects, contact one of our academic advisors today!